What kind of company takes out ads in daily newspapers attacking one of its own type of products? In the case of Panasonic, the answer is a company that has significant investments in a rival technology. Flat-panel televisions at a computer store in Santa Clara, Calif. Panasonic has promoted its plasma sets over L.C.D. ones. Panasonic, the consumer electronics company owned by Matsushita Electric Industrial, is the world’s biggest seller of plasma TVs. And it has long extolled the benefits of that technology compared with L.C.D., another flat-panel TV product. At the same time, the company sells a full line of L.C.D. sets. But the company believes that plasma technology is under unfair attack from competitors making “desperate attempts” to denigrate what it sees as plasma’s superiority, according to Bob Greenberg, Panasonic’s vice president for brand marketing. There is another issue as well, which is that the profit margins on L.C.D. TVs have fallen sharply because of competition. To demonstrate plasma is better, the company has offered picture comparisons for journalists at electronics shows. And it has developed marketing materials that dispel some of the myths of plasma’s limitations, like how often to refill the plasma gas (never) and the problems with picture burn-in (none anymore). 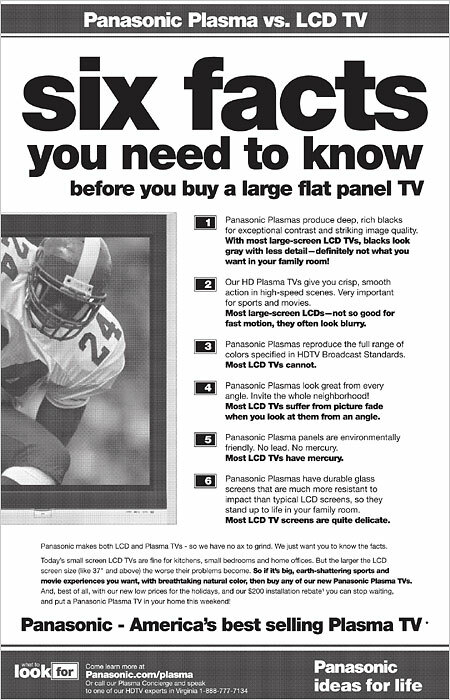 This holiday, Panasonic went a step further, running an ad in newspapers around the country under the heading “Six facts you need to know before you buy a large flat-panel TV.” The ad points out plasma’s superior contrast, color rendition, crisp motion, viewing angle and durability when compared to L.C.D. TVs. Not so fast, says Sony. The company, which exited the plasma TV market to concentrate on L.C.D. sets, is running its own series of sportslike newspaper and magazine ads that promote what it calls an HD challenge. Once consumers see reflections of fluorescent lighting in the plasma set, they will opt for L.C.D., the ad contends. While most people do not have fluorescent lights in their living rooms, Sony believes its challenge shows how bright light bulbs and other reflections can spoil a picture. “The showroom is the only place where a consumer can compare two TVs,” said Phil Abram, the company’s vice president of product marketing. To help Panasonic maintain sales of both technologies, it sells plasma sets from 37 to 65 inches on the diagonal, while its L.C.D. TVs can only be purchased in sizes from 23 to 32 inches. Sony, Sharp and other manufacturers sell L.C.D. sets from 19 to 65 inches on the diagonal. Both technologies are gaining market share at the expense of traditional tube sets, with L.C.D. sales this year overtaking picture tube sets for the first time. According to data compiled by the NPD Group, L.C.D. TVs held 49 percent of the market in 2006, compared with 26 percent last year. Plasma’s market share increased to 10 percent from 5 percent. 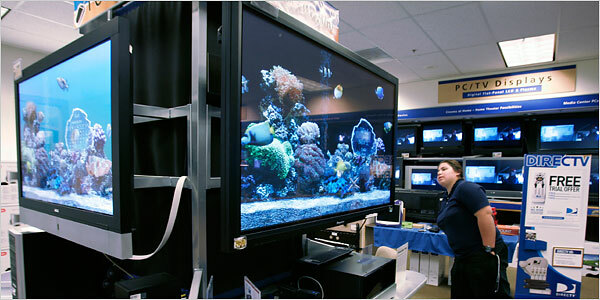 At the same time, sales of picture tube TVs dropped by more than half, to 21 percent this year from 46 percent in 2005. Does Panasonic’s strong support of plasma technology mean that it will never sell a very large L.C.D. TV? Well, not exactly. Panasonic Japan announced a limited black edition of its TH-58PZ600, the 58 inch Plasma TV. 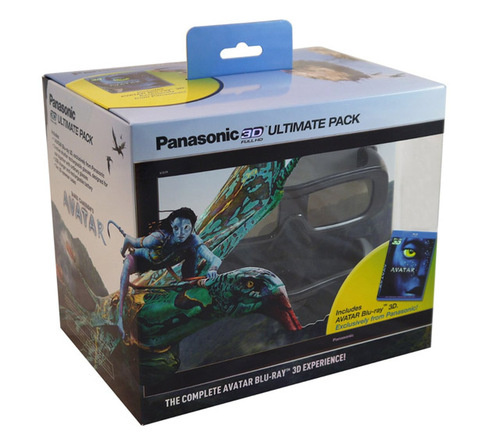 This super smooth finishing plasma has an analog and digital TV tuner, supports full 1,920×1,080 HD resolution and has a 4000:1 contrast ratio. The remote control also comes in black to match the TV. It measures 1,454 × 570 × 1,422mm and weighs 110 kg. Are you getting all the HDTV resolution you paid for? 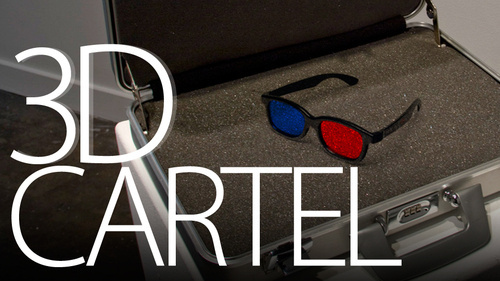 Not necessarily, given the results of Home Theater Mag’s recent tests of 61 HDTVs. Using test patterns from a Silicon Optix HQV HD DVD, they tested deinterlacing, 3:2 detection and for the 1080p sets, bandwidth. Unfortunately, just over 54% of the HDTVs failed the deinterlacing test, 80% failed the 3:2 test, but the 1080p sets passed the bandwidth test, despite all but one (Pioneer Elite PRO-FHD1) losing some detail. If a HDTV doesn’t pass these tests, then you’re losing at least some visual information from a 1080i signal. Some televisions throw away half the horizontal lines, which results in a fail on the deinterlacing test, or don’t perform inverse telecine on moving images appropriately, failing the 3:2 test. Of course, contrast ratio, refresh rate and black levels still contribute to overall picture quality, but you should take a look at their results to make sure you’re getting every pixel you expected from your new HDTV.